Isaac Newton And The Apocalypse: Did He Unlock A Secret Bible Code That Could Have Prophetic Implications For The World? Did Isaac Newton believe the end of the world would end in 2060? Why was he obsessed with the Books of Daniel and Revelation? Isaac Newton believed that The Bible had another layer that was meant to be discovered. His obsession consumed him day and night searching to discover this hidden code. David Flynn’s in his groundbreaking book believed that we were entering into a period that would have prophetic implications. He also corrected Isaac Newton’s end of the world date and had come down between the years 2012-2017 for end time events to transpire. Something would begin during these chaotic years. The timing of all of this couldn’t be more significant especially with the holy land beginning to erupt. Here are some events happening now, that we must be very cautious about. The Rise Of GOG MAGOG (RUSSIA) and its prophetic Significance on the World Stage right now. The Psalm 83 War that has not happened, but could be taking shape in Israel as we speak with Hamas and ISIS. The Days of Noah and the tampering of the Human DNA and Animal DNA. How this new aged called Trashumanism could literally leave you with no salvation and destroy the image of God in you. Is God giving us warning signs that we are refusing acknowledge? If this doesn’t make you believe we are living in some prophetic times than I don’t know what else to say to you. I ask that you open your Bible up and began to understand the events that may be transpiring, as a nation sleeps and its spiritual soul slumbers. Feed yourself with the word of God so you are not left in the dark, when the thief comes in the night. But of the times and the seasons, brethren, ye have no need that I write unto you. 2 For yourselves know perfectly that the day of the Lord so cometh as a thief in the night. 3 For when they shall say, Peace and safety; then sudden destruction cometh upon them, as travail upon a woman with child; and they shall not escape. 4 But ye, brethren, are not in darkness, that that day should overtake you as a thief 1 Thessalonians 5:1-4. Is Your Pastor a FEMA Pastor? Of all the people in the world you can trust to tell the truth, you would think it would be your Pastor. They are supposed to be the shepherds of the flock, but are they? Or have they sold out to the New World Order? Please don’t get me wrong. I am sure that many Pastors take their position very seriously and speak the truth to their flock, but not all of them. Many of them will be used to help “control” their flock when Christians are led away to FEMA camps because they are enemies of the “State”. You may be saying that this could never happen. Well, it can and probably will. As Obama said “We are no longer a Christian Nation”. When true Christian organizations are being called “domestic terrorists” you know that anything can happen. What Use do We Have for Storing Guillotines in America? What Use do We Have for Storing Guillotines in America? Is there really a law in Obamacare about Guillotines that can be used as a method of execution? Rumors have circulated for quite sometimes of the existence of these items in our country. What will be the use for them? Who are the targets? It looks like the NWO in America is already preparing for mass executions of American Christians who will refuse the mark of the Beast and worship his image. What other use could the government have for them? We don’t execute criminals by guillotine in this country, at least not up to this point. In fact, we hardly execute them at all, even the most despicable ones. Now a law has been passed allowing death by guillotine. Thanks in large part to Obama our government has been infiltrated with Muslims and what is their agenda? To take over the world for Allah and in doing so kill infidels. Ebola Outbreak May Be “Tip of the Iceberg”: Disease May Be Spreading As Health Workers Are Certain That Cases Are Going Unreported And Potentially Spreading It Further! Ebola Outbreak Update 6-23-2014. SCROLL DOWN FOR NEWS LINK AND VIDEOS: A very scary scenario is playing out In the 3 nation country as health workers who have been fighting the outbreak, that has killed more than 300 people, have said that, “they are certain many cases are going unreported as they see gruesome infections, dangerous myths and people fleeing the virus”, potentially spreading it further. Robert Garry, a microbiology professor at the Tulane University School of Medicine said that the Ebola virus was “the tip of the iceberg”. The unprecedented event has created a fear of Superstition. A woman healer, who used snakes as part of her practice, made some frightening and dire predictions from her death bed. “She said she was going to release the snakes and said anybody who saw the snakes would die the way she did”. How long can containment withstand the virus before it breaches and infects other nations? Will we see a pandemic of epic proportion real soon? The Ebola Virus continues to devastate West Africa and there seems to be no end in sight! NBC NEWS.COM: An “out of control” outbreak of Ebola in West Africa that’s being called the deadliest ever is far from over and it’s likely to get worse before it gets better, experts predict. And health workers who have been fighting the outbreak, which spans three countries and has killed more than 300 people, say they are certain many cases are going unreported as they see gruesome infections, dangerous myths and people fleeing the virus, potentially spreading it further. “This is the tip of the iceberg,” said Robert Garry, a microbiology professor at the Tulane University School of Medicine who’s been leading relief and investigation efforts in Sierra Leone for the Viral Hemorraghic Fever Consortium. These will be used in the third Jewish temple during the tribulation. 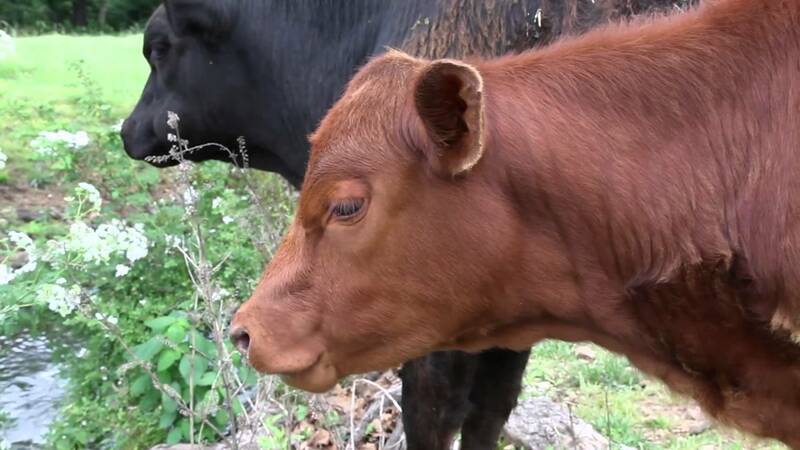 VIDEO… ( BREAKING – RED HEIFER BORN: Being Raised for ‘Cleansing Role’ at Building of 3rd Jewish Temple. VLADMIR PUTINS RASPUTIN: Meet The Mystic Who Is Influencing Gog The Chief Prince Of Rosh. SCROLL DOWN FOR NEWS LINK AND VIDEO: Meet the New Rasputin who is having a major influence on Vadmir Putin. His name is Alexander Dugin and he understands that America and Russia have a prophetic destiny. The gears of Prophecy have been put in place. It just a matter of time before everything comes together. Please I ask you to open your Bibles to understand what is happening with these current events. BRIETBART.COM: As Russia continues stepping up its propaganda war, the Putin regime continues to implausibly deny any responsibility for the civil war spawned in the eastern regions of Ukraine. Putin’s cynical denial of responsibility for his operatives’ actions in Crimea strained the imagination of even the most credulous observers; even Putin had to confess that the “little green men” were really his soldiers all along. By some accounts, Kazakhstan and Belarus, Russia’s partners in its new Eurasian Economic Union, may be looking for a way out before the union even goes into effect next year. This Is the Idealogy That May Be Driving Vladmir Putin Towards Conflict With The West.